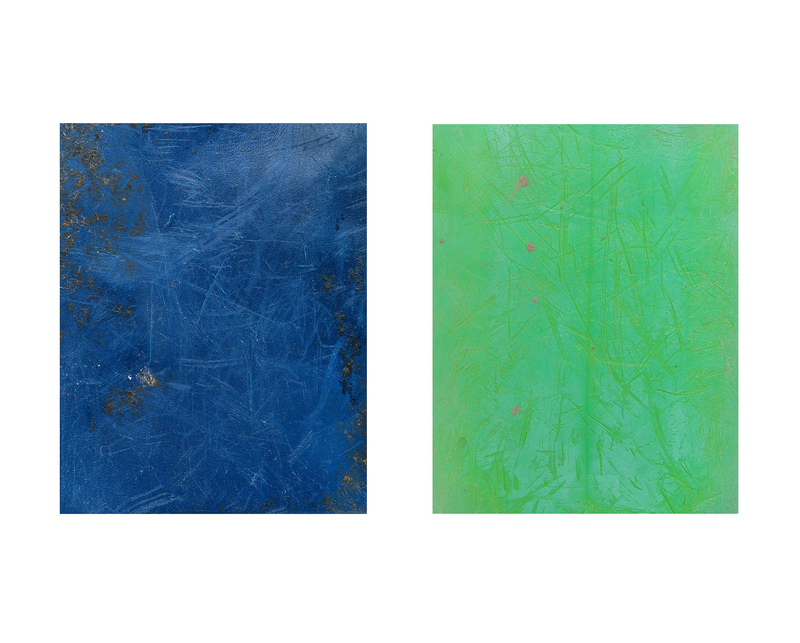 25 Litre Container Abstracts (Blue and Green) , Newgale, Pembrokeshire 2017 / 2018. Digital Prints on Hahnemühle Photo Rag, 41 cms x 33 cms. 25 Litre Container Abstracts Grid x12, Newgale, Pembrokeshire 2018. Digital Prints on Hahnemühle Photo Rag, 310 cms x 110 cms. 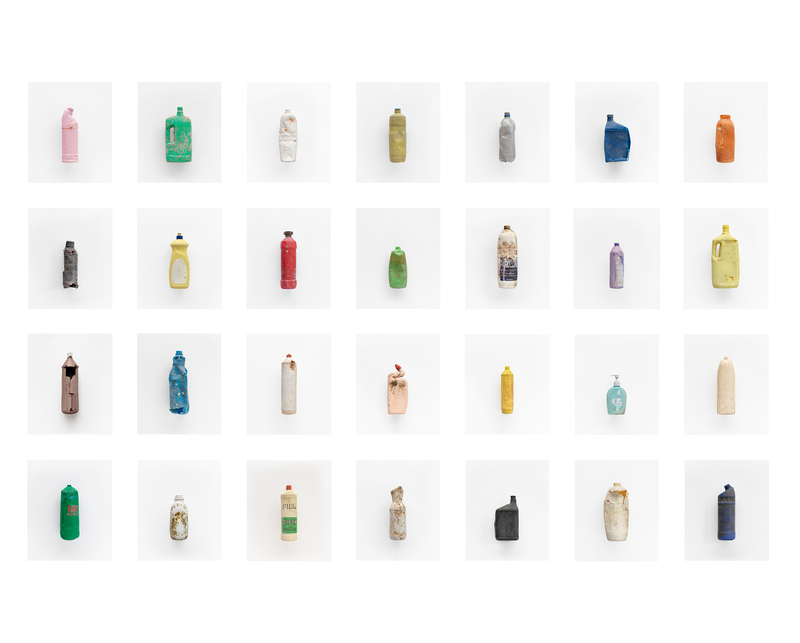 Môr Plastig, welsh for Plastic Sea, is a forensic photographic study of plastic objects that have washed up on the west coast of Wales, and more recently further afield. I photograph the objects one to one, straight on to camera with flat ‘neutral’ light. My intention is to be as objective as possible* avoiding a dramatic emotionally charged atmosphere. My aim is to reduce the objects to their formal states separating them for a moment from any meaning beyond their sculptural presence. 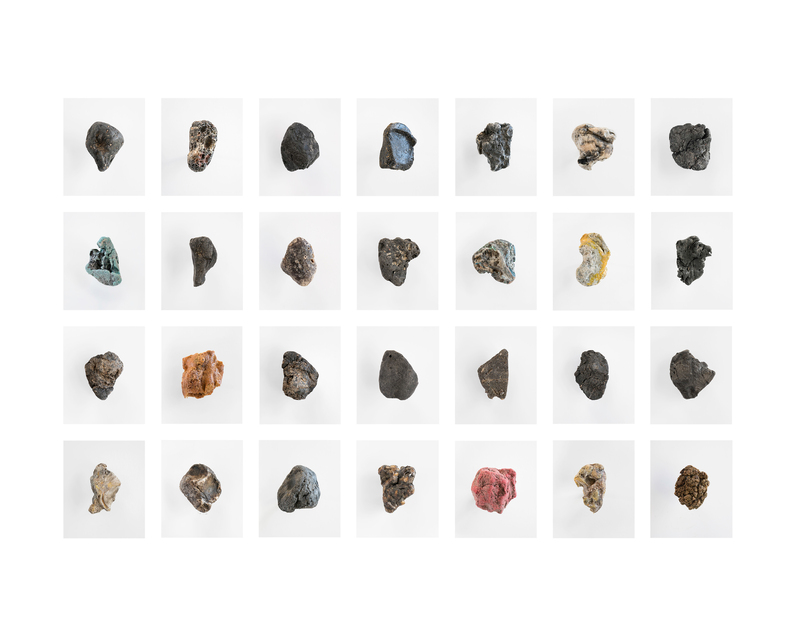 The purpose is to make us think about the materiality of these objects, where they might have come from, how they physically break down into the food chain and how nature sculpts these man-made objects into strange new forms. I use the highest resolution camera possible in order to capture the surface detail. This allows the viewer to read the objects markings and scars created by months or even years in the ocean. 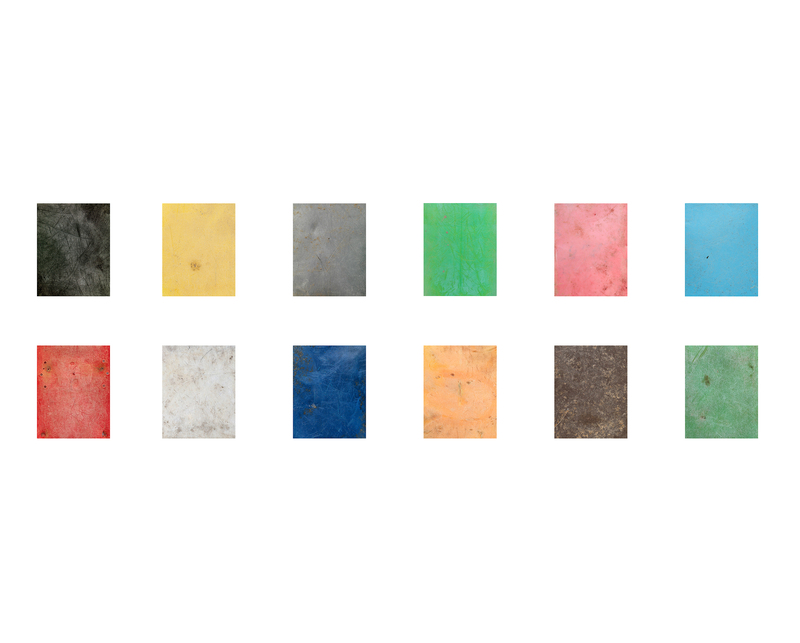 This detail often provides clues to the origins of the plastic and in some cases the remains of a logo, bar code or opening instruction will indicate the country of origin. I have photographed flour sacks from China, soap dispensers from Brazil and fizzy drink bottles from Japan. All washed up on our local beach. The ambiguity between the aesthetic and narrative is an important part of the work. I want people to be intrigued and feel challenged that a piece of pollution can appeal aesthetically. 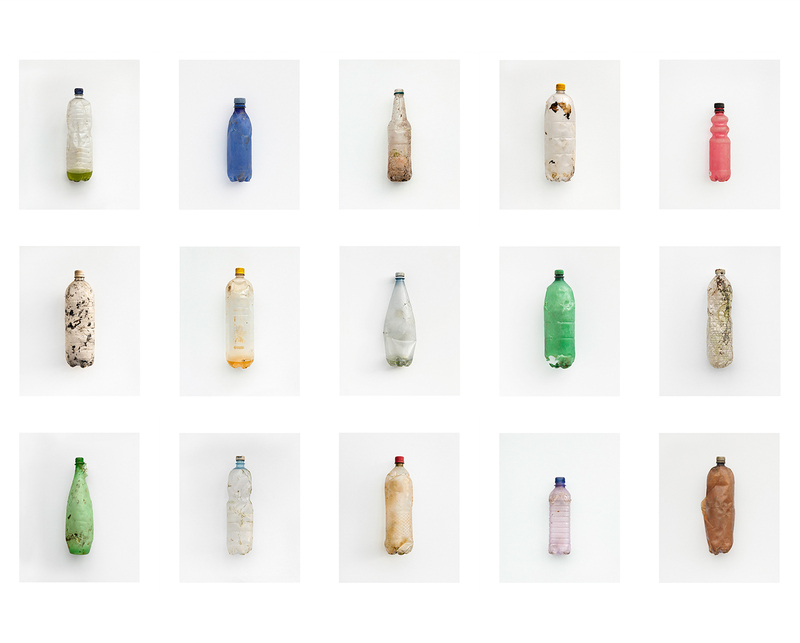 It means that they will get up close and think more deeply about the materiality of this plastic and how it degrades. I also like the idea of taking rubbish and stuff that people would normally walk past and giving it a sculptural presence and status it wouldn’t normally have had on the supermarket shelf. So, in addition to seeing these pieces as symbols of over consumption and a disregard for the environment I also see them as evidence of the beauty and power of nature to shape and sculpt our world. Whatever we throw at it, the planet will impose it’s own supremacy, no matter what the implications for us humans. 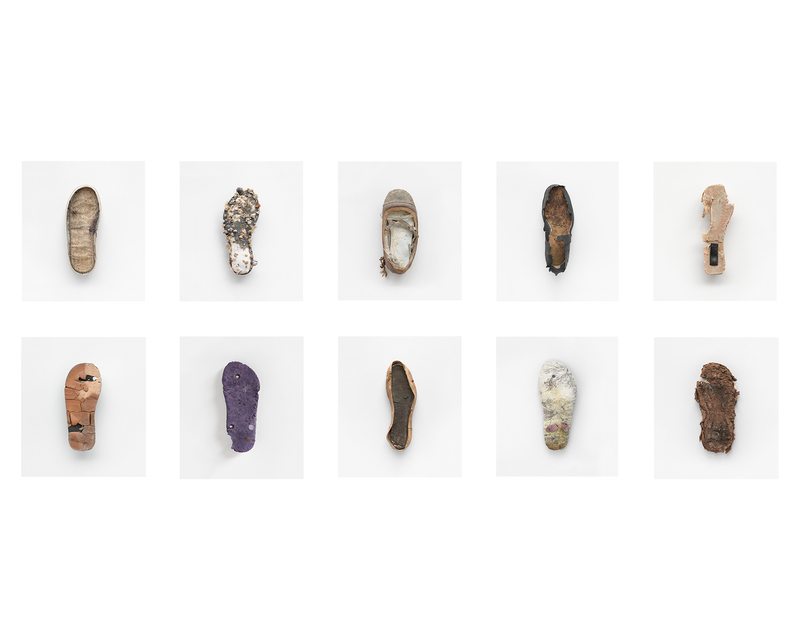 I present some of the objects as grids (e.g bottles, shoes, stones, gloves ) or in line sequence emphasising the infinite choice ‘offered’ by our consumer culture and to provide an aesthetic framework where colours and forms can work off each other. Some observers suggests this gives the project a pseudo-scientific or contemporay natural history feel. Environmental photography is often expressed at ‘Gurskyesk’ scale. Polluted spaces on the ‘macro scale’. 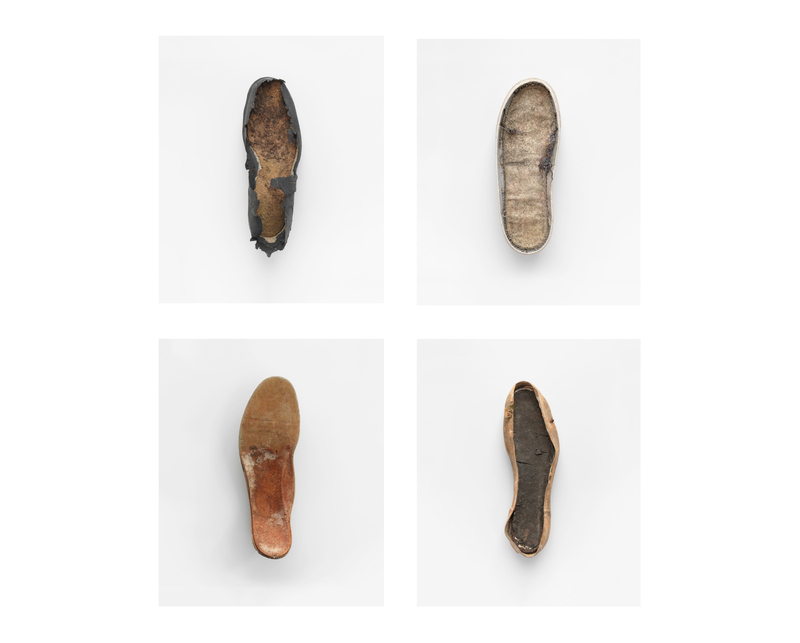 But sometimes small found objects can also tell a story in a poetic and engaging way. I see these photographs as ‘micro landscapes’. Landscapes that record both ‘mans’ impact on nature and natures impact on the ‘man-made’.